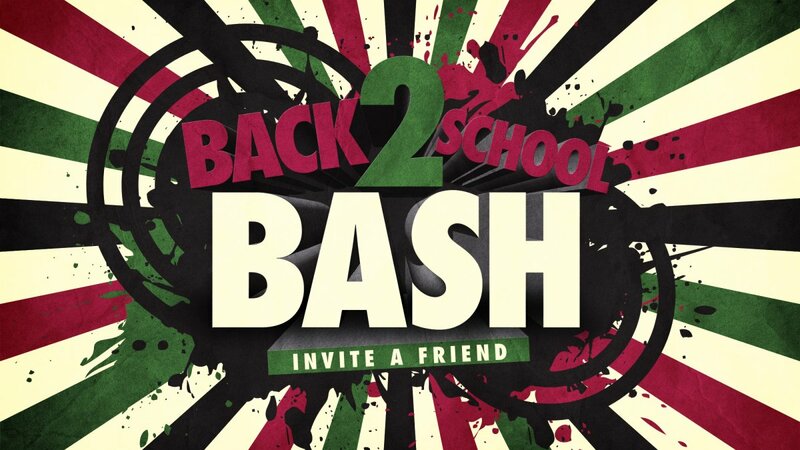 CBSM’s Back 2 School Bash is Wednesday, August 28th from 4:30-9:00pm. It is for all of the high schoolers and middle schoolers in the 256 and all their friends. From 4:30-6:30pm we’ll be going crazy with stuff like dodge ball, climbing mountain, bouncy boxing, bungee trampoline, obstacle course, and the whizzer. We’ll also be serving up free food like hamburgers, hotdogs, chips, drinks, popcorn, snow cones, and cotton candy. From 6:30-7:30pm we’ll throw a quick worship service with some rockin music by our band, and a quick message from God’s Word. We’ll end that up with $600 in give-a-way prizes! Then from 7:30-9:00pm we’ll open up the huge water slide, with the inflatables, and more food. If you’re in middle school or high school, you are your friends are invited out to party hard with us for Jesus. Boom.